Teams 319 and 2363 are happy to announce BobTrajectory version 1.[STRIKE]dope[/STRIKE]0! A huge thanks to Matt Lythgoe and team 2363 for joining the project and making big contributions to code quality and testing! And, of course, none of this would be possible without 254’s 2014 trajectory code. Looking forward to sending this to my programmers. Thanks for sharing! Thanks for publishing this! We have borrowed a lot of code from you all to figure things out when we get stuck sometimes - this is just an incredible library for teams. Good work! Looks pretty cool, thanks for posting! We ran BobTrajectory last season and it worked great for us. The new improvements are a big update, thanks for putting in the work to make this better for the community. How is this different than PathFinder or PathWeaver (the one that’s built into VS code)? We’re just getting started trying out path finding, so if this is better or different, we’d love to try it out. We just published a v1.0.1 release. This release updates the FollowArc class to account for the 2019 updates to the CTRE libraries. Added a constructor to the FollowArc class that allows you to flip the left and right direction of a path or the robot direction without having to generate new paths to do so. Updated the heading to allow for paths that rotate the robot more than 180 from it’s starting heading. I wouldn’t say it’s better than the others, just a different implementation. Currently* BobTrajectory specifically relies on the TalonSRX Motion Profile Arc mode to function. This looks pretty cool. Does it only work for differential-style drivetrains, or can it also be used with swerve (like pathfinder)? There doesn’t seem to be any extra repo needed for our build.gradle, nor does there look like a build task in your build.gradle to get this simple import to work. Does this work for anyone’s github releases? Or was there some special process to get this to work? Does this work for anyone’s github releases? Then you can add dependencies like the one in my original post. To be clear, the repo you want to build does not need to be changed, you can do this with any repo. Ah, that’s what I did too. Cool, thanks! Hey everyone, just wanted to let you know that we noticed a bug in the latest release that as drawing the intermediate robot headings in the GUI in the wrong orientation. We’ve fixed this and pushed out a new release. Everyone, it turns out that the bug that I “fixed” in the latest release was actually related to another problem. 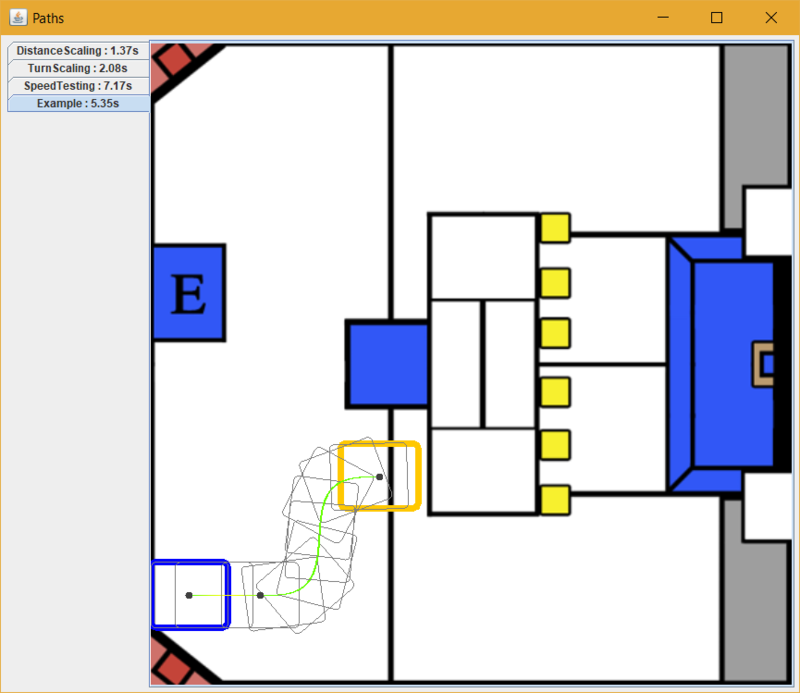 What you’ll currently see is the robot will want to turn in the opposite direction that the image shows, and you’ll still see some instances of the robot angles being funky in the planning tool. I’ve pushed a fix to our master branch, but don’t want to cut a release until it’s been tested on a robot. The current workaround is to flip the left and right of the path when you run it. This should make the robot drive in the intended direction. We will hopefully have it tested today and a new release cut.